Will the New Point System Make it Easy to Get Australia PR Invitation? What are the chances of Getting Canadian PR with CRS Score 400-450? Are you an express entry applicant with low CRS Score (400-450), waiting for your ITA (invitation to apply) for Canadian PR? Well, you are not alone, as there are hundreds of applicants registered on express entry waiting for their turn with the similar score. However, looking at the draw results this year, obtaining the ITA with low CRS score is really difficult. So, what are the options you have in that case? Let’s try to find out the pathways that can get you Canadian PR in the current situation. There are always few things, which you can improve in your profile to increase your total point score in express entry system, such as, language ability score, work experience, qualification, spouse credentials, etc. However, in this case you will have to wait for few months so that you can improve these aspects of your profile and subsequently the Express entry CRS Score. Moreover, once you have improved your profile, you have an option to either update your profile or create a new express entry profile at any point of time. However, if you feel there is not further improvement can be done in your profile, you must look out for other options apart from express entry to get the PR Visa for Canada. The Ontario Immigrant Nominee Program (OINP) is the provincial nominee program (PNP) of the major Canadian province, Ontario. The PNP invites application for PR and subsequently, allocate the nomination certificate to the selected candidates, which in turn make them eligible to apply for Canadian PR. The OINP in fact considers the candidates with low CRS Score. It’s the immigration program of Quebec Province in Canada. It invites candidates to apply for PR visa in Quebec, Canada. The QSWP has its own point based system and it provide many relaxations as well to the applicants, i.e. no job offer required, low language proficiency requirement, etc. The Saskatchewan Immigrant Nominee Program (SINP) is another popular Provincial Nominee Program (PNP) of Canada. It is also known for providing easiest pathway for Canadian PR to the Canada immigration aspirants with no job offer requirement and low language proficiency level required under its International Skilled Worker- Occupation in Demand Sub-category. If you apply in any of the above mentioned Canadian immigration programs, you can consider your chances even with low CRS score, as every province in Canada has its own immigrant selection criteria and system. How to get vital assistance to apply in alternate immigration programs of Canada? If you seek assistance to apply in key Canadian Immigration programs to obtain the PR in Canada at earliest, you can coordinate with a reliable Canadian immigration consultancy service. Visas Avenue is a genuine, reliable, and registered Canada Immigration Consultancy Service with dedicated offices in Delhi, Bangalore, and Hyderabad. If you seek assistance for Canada immigration from the most qualified and experienced visa and immigration experts at Visas Avenue, you may call at 011-48447777 (Delhi), 040-42467777 (Hyderabad), or 080-46668222 (Bangalore). You may send your immigration related queries and concerns to email id- info@visasavenue.com. Disclaimer: Visas Avenue does not deal in any type of job or job assistance services. Visas Avenue is not a job recruitment agent or job service provider. Visas Avenue does not offer consultancy on / overseas jobs/work permits/international or domestic placements. How to Move to Australia with different visa categories? What are the Pathways to get PR Visa in Australia from India as a Skilled Professional? 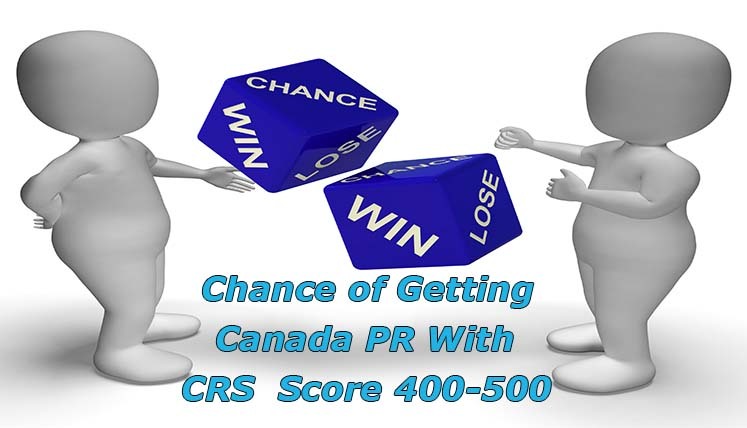 What can be a winning CRS score to obtain Canada PR invitation in 2018?